This firm has been providing engineering consulting services related to protective relaying for the electric power industry since January 2005. 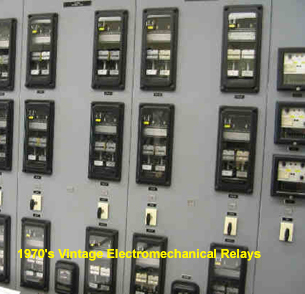 The firm was started by Charles F. Henville upon his retirement from BC Hydro, a major Canadian electrical utility. Initially, Mr. Henville is the only professional engineer in the organization and is solely responsible for provision of all professional services. Use of computer tools for modeling power systems under normal and abnormal conditions. Tools include load flow programs, fault study programs and electromagnetic transients programs (emtp). Specification and setting of protective relaying equipment for all types of power system equipment including transmission lines rated 69 kv – 500 kV, distribution feeders rated 4 kV to 25 kV, generators rated 300 kW to 500 MW, substation equipment such as transformers, shunt reactors, shunt capacitors, busses. Specification and review of special protection schemes (SPS) or remedial action schemes (RAS) for BC Hydro, Saudi Electric Company, and as a member of the Western Electricity Coordinating Council (WECC) RAS reliability task force. Review of disturbances. For example, as overall Technical Coordinator in a contract for Tenaga Nasional Berhad, Malaysia, regarding analysis and recommendations related to Peninsular Malaysian system blackout on 3 August, 1996. See separate project list for more information on projects. Mr. Henville ensures high work quality by careful review of work, and use of experience for “order of magnitude” checks and computer tools for accuracy checks. He also maintains technical competency through his activities as a leader of the Institute of Electrical and Electronic Engineers (IEEE) Power System Relaying Committee. This committee is responsible for the preparation and maintenance of standards guides and technical publications that form the basis for power system protection practices in North America and world wide. Mr. Henville participates in the leadership of this committee as an officer. The IEEE has recognized his contributions by appointing him as a Fellow of the Institute (FIEEE) in 2004.